Dennis DiPietre received the BSA and MS degrees from the University of Arkansas and the Ph.D. with Research Excellence from Iowa State University in 1986. During this period he was a Research Associate of the Columbia Center for Futures, Columbia University, New York. Dr. DiPietre has participated in continuing education from the USDA in Agricultural Ethics and from Harvard University (Senior Program on Negotiation) and the University of Chicago (Optimization Modeling in the Presence of Risk). From 1991 until 1999 he served as Extension Associate Professor and Leader of the Commercial Agriculture Swine-Focus Team at the University of Missouri-Columbia. 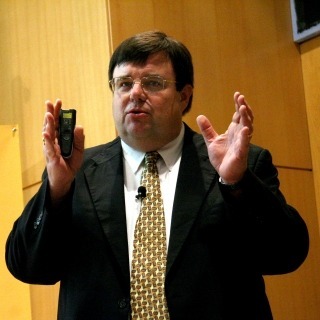 Beginning in 1999 he spent two years working in the area of e-commerce for agriculture as Director of the Food Applications Group at E-Markets, Inc. and as the Associate Director of the Center for Information Systems and Structural Change at the University of Minnesota. A consultant to agricultural and food industries since the mid 1980s, Dr. DiPietre now consults full time both nationally and internationally with leading production companies, packers, genetics and pharmaceutical companies as well as industry associations. His practice focuses on innovation, precision production and marketing, cost containment, optimization modeling and negotiation. A frequent speaker to pork producers, swine veterinary practitioners, industry and agricultural associations and industry management, he has co-authored a popular University textbook in Farm Management and contributed chapters to three other books as well as numerous refereed journal articles and contributions to professional meetings and societies. A published journal article co-authored by Dr. DiPietre was selected for inclusion in the Core Historical Literature of Agriculture at Cornell University, a selected compendium of the key contributions to agricultural science and literature over the last 200 years. Dr. DiPietre is a recipient of the Missouri Governor’s Award for Quality and Productivity, and while at university, numerous teaching, advising and research awards. He is a Leman Fellow of the American Association of Swine Veterinarians (AASV). Dennis DiPietre is increasingly convinced that 2019 is setting up to be the year of the great pork price mirage. 7% drop in belly price in a single day is signaling the end of the summer seasonal prices.